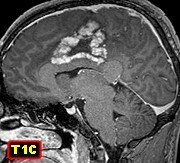 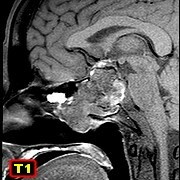 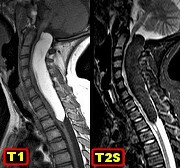 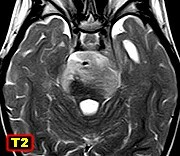 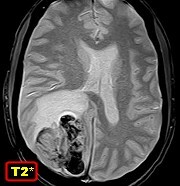 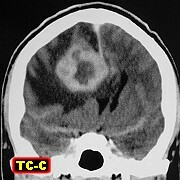 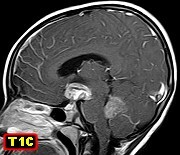 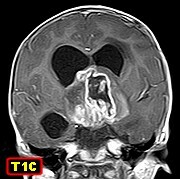 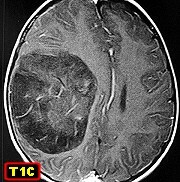 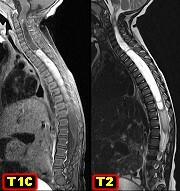 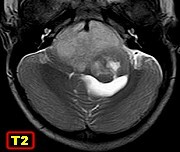 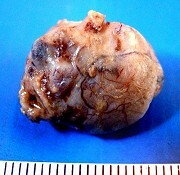 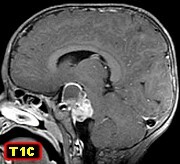 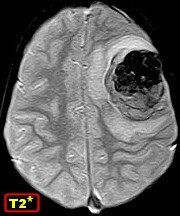 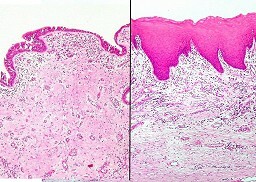 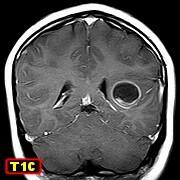 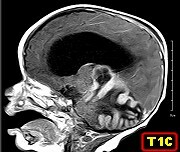 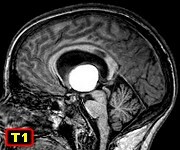 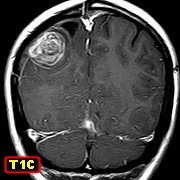 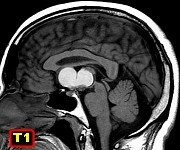 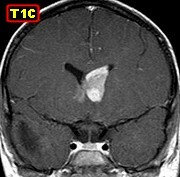 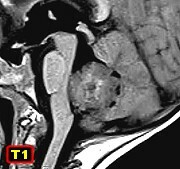 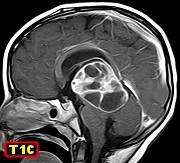 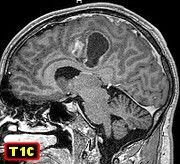 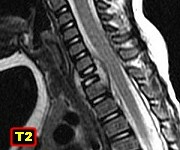 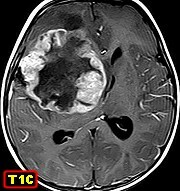 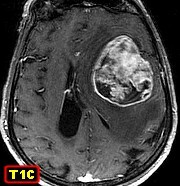 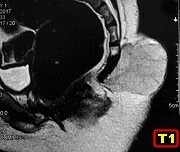 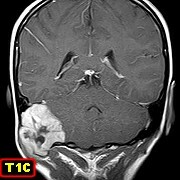 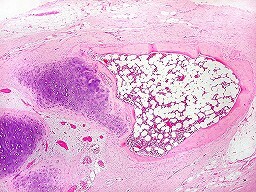 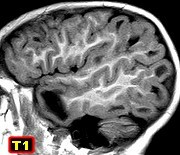 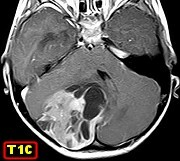 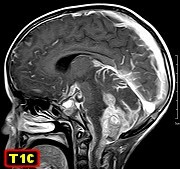 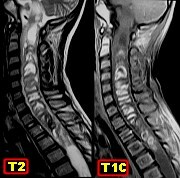 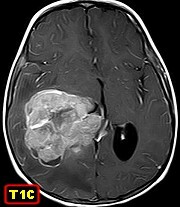 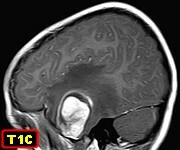 New additions (2015 - 2019) ..
F. 1 yr. Atypical teratoid/rhabdoid tumor (ATRT) in anterior surface of brain stem. 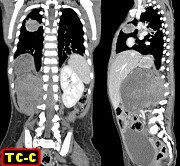 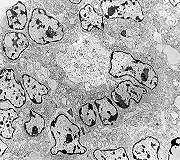 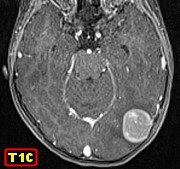 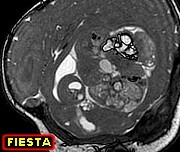 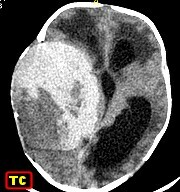 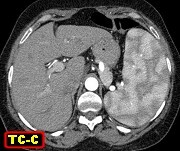 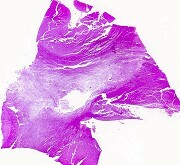 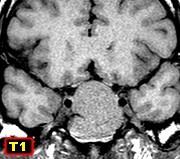 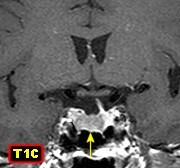 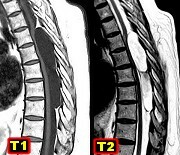 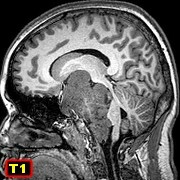 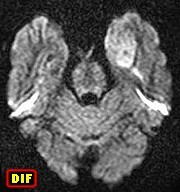 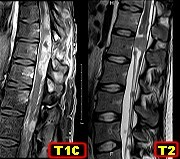 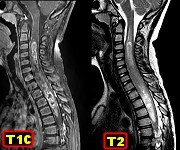 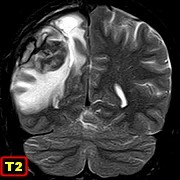 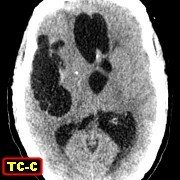 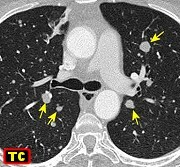 CT, MRI Same, HE, Masson Same, IH - vimentin, 1A4, AE1AE3, EMA Same, IH - CD34, INI-1, Ki67. 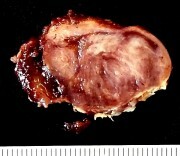 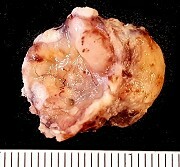 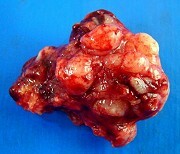 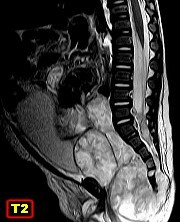 M. 36 yr. Brown tumor of hyperparathyroidism in L5 vertebra. 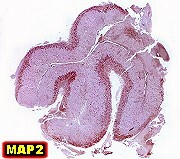 CT Same, HE, Masson. 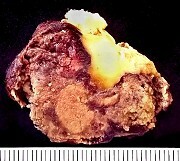 Texts: hyperparathyroidism, brown tumor. 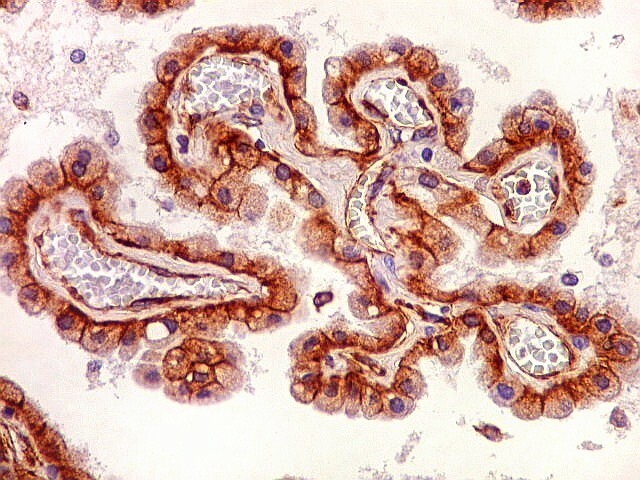 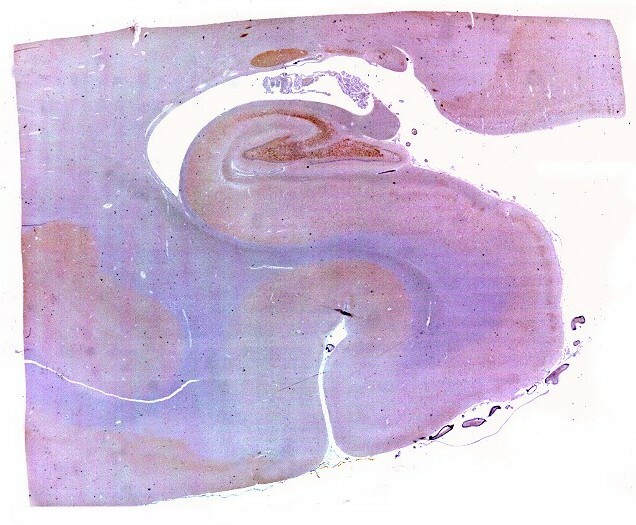 Same, IH - CD68, HAM5.6, 1A4, vimentin, CD34, Ki67. 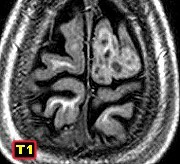 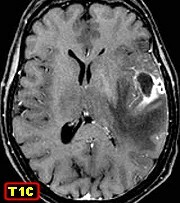 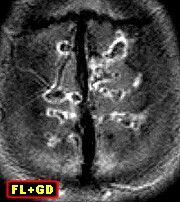 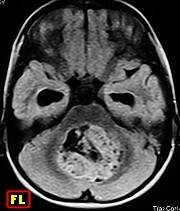 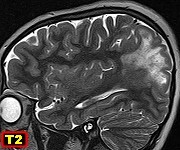 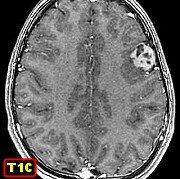 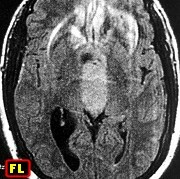 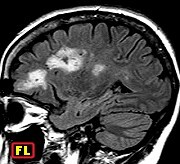 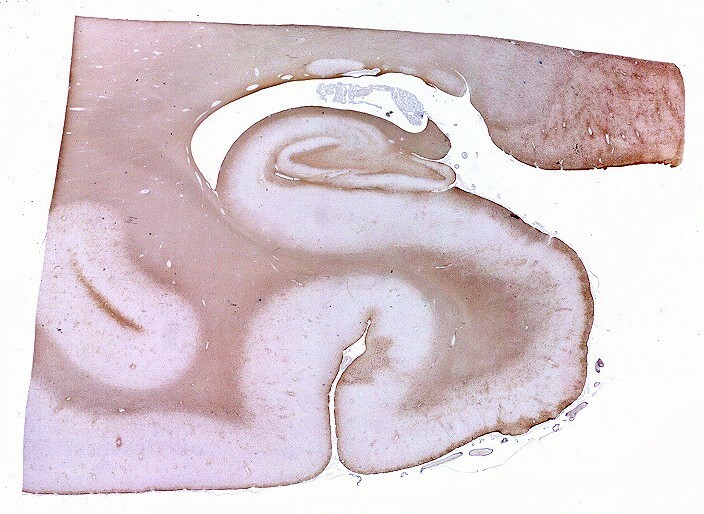 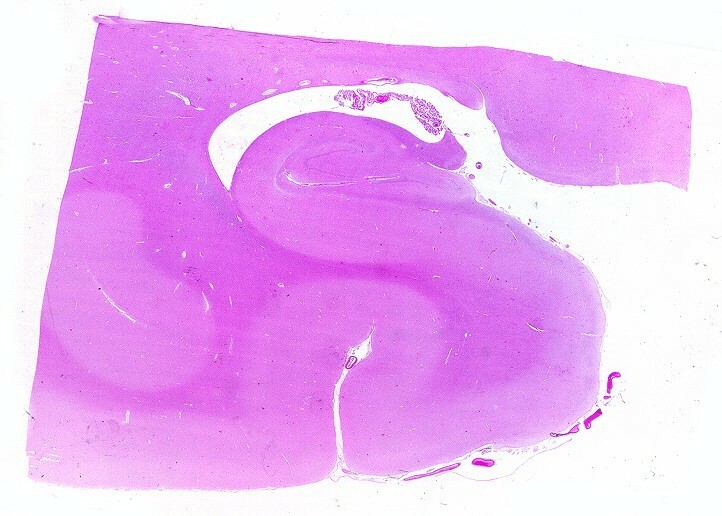 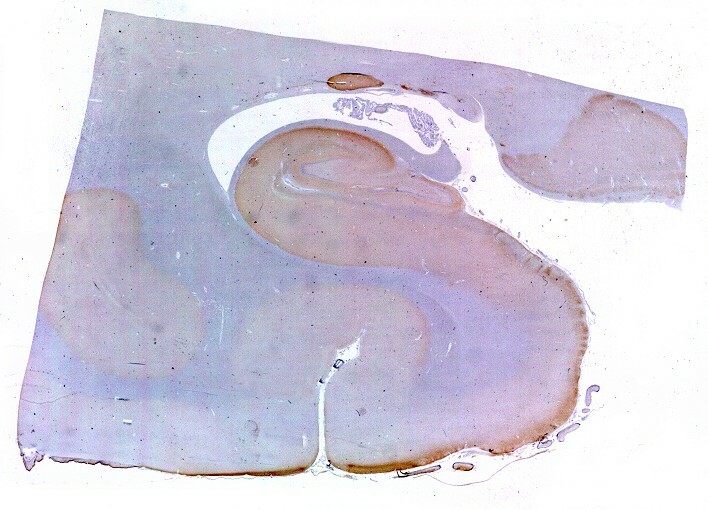 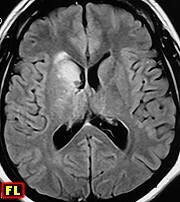 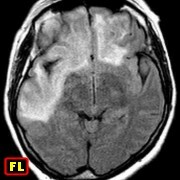 F. 4 yr 1 m.
Same, IH of second sample - GFAP, VIM, SNF, NF, CD34, Ki67, p53 F. 11 yr 1 m. Ganglioglioma of deep cerebral white matter. 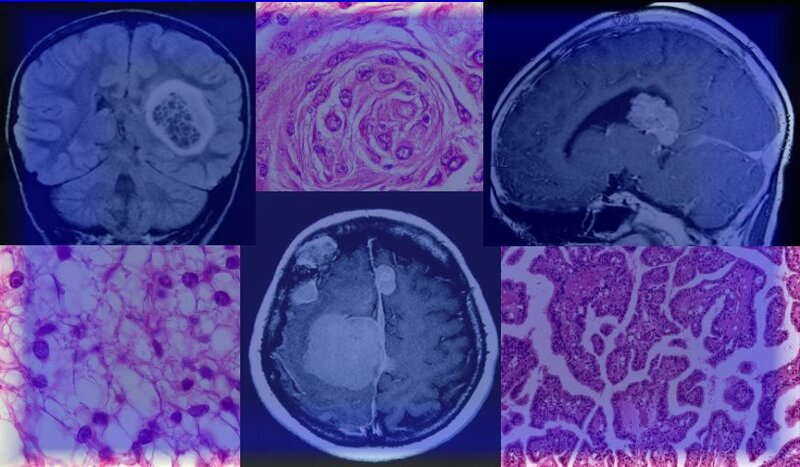 M. 16 yr. Yolk sac tumor of testis with two brain metastases at different times Same, primary tumor in testis, HE, immunohistochemistry. 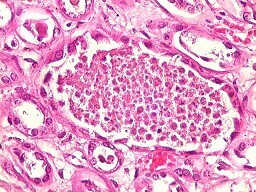 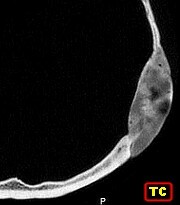 Pictured - Schiller-Duval corpuscle. 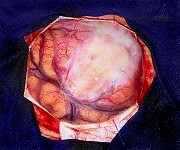 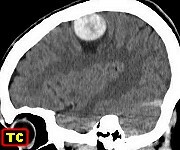 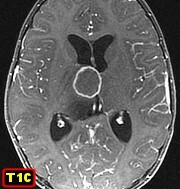 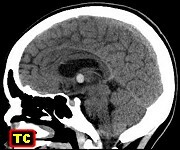 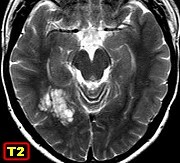 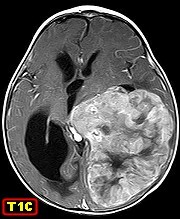 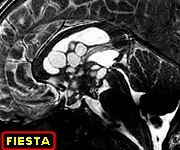 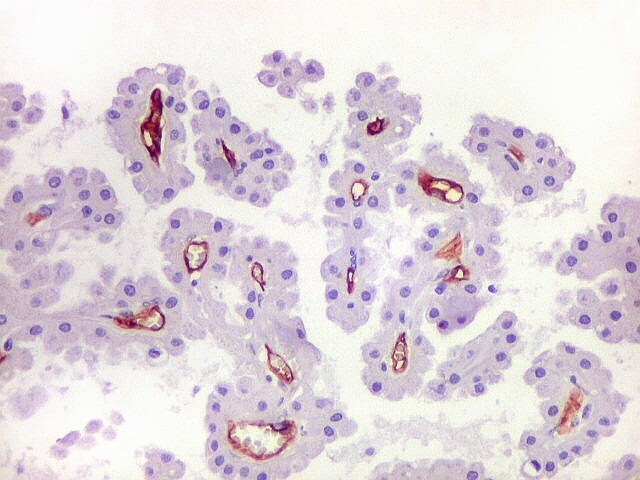 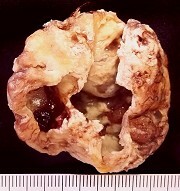 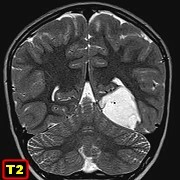 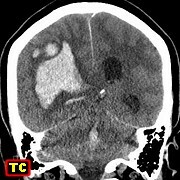 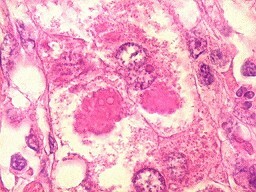 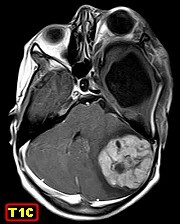 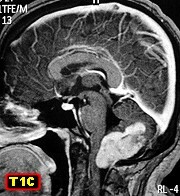 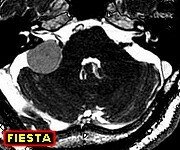 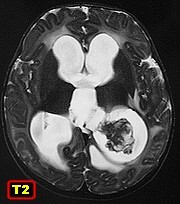 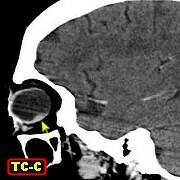 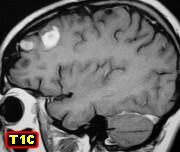 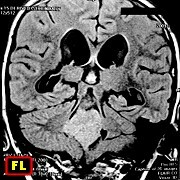 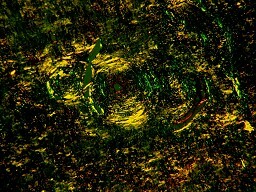 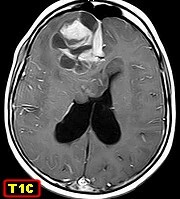 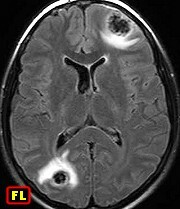 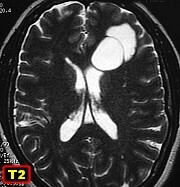 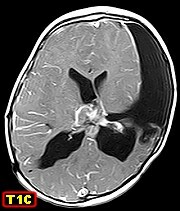 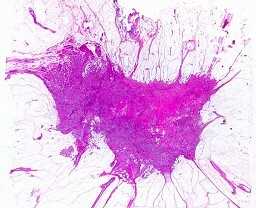 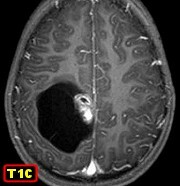 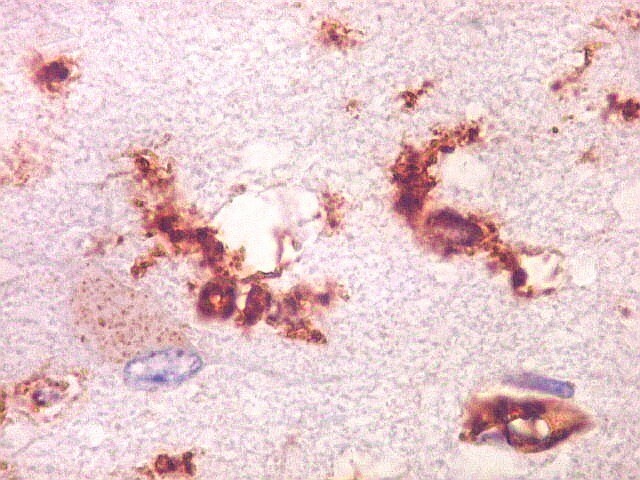 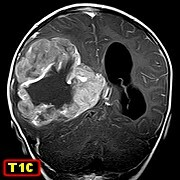 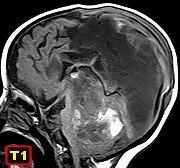 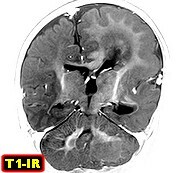 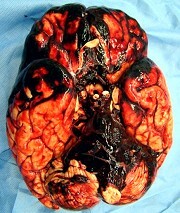 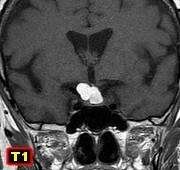 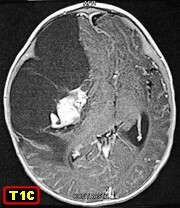 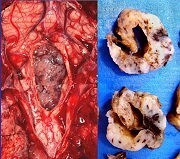 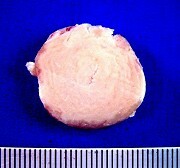 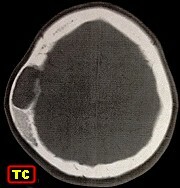 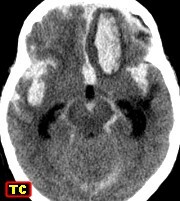 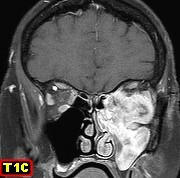 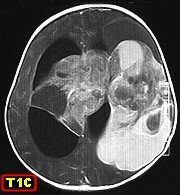 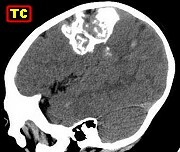 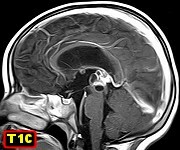 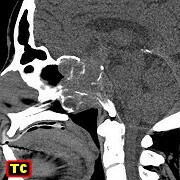 M. 9 yr 6 m.
F. 22 yr. Colloid cyst of III ventricle Same, HE, Masson's trichrome, IH - AE1AE3, 34bE12, EMA, Ki67 M. 2yr. 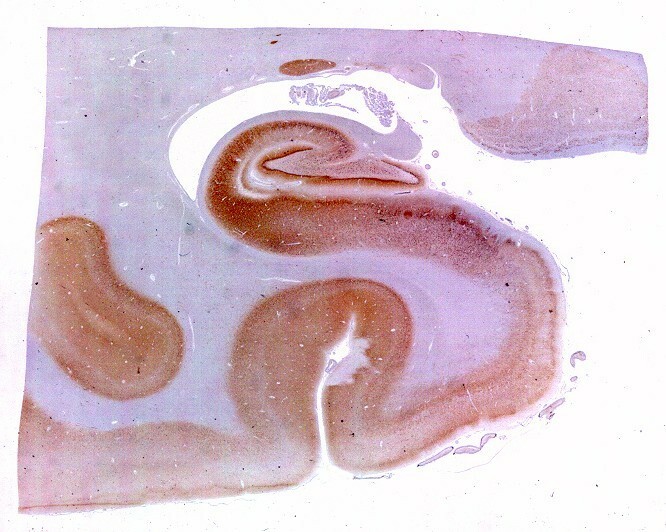 8m. 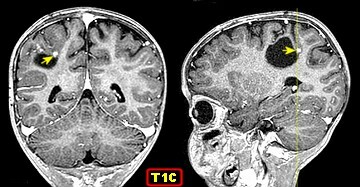 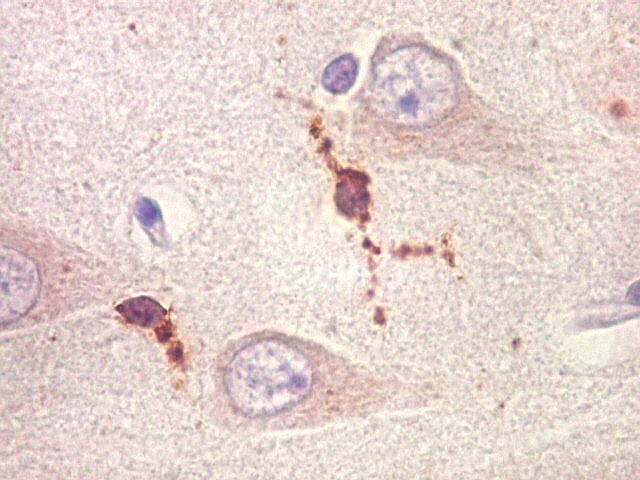 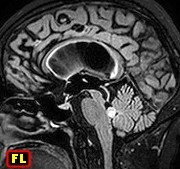 F. 3 m. 15 d. to 3 yr. 4 m.
Same, electron microscopy. 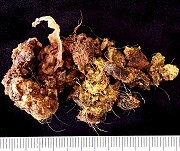 Text - secretory granules. 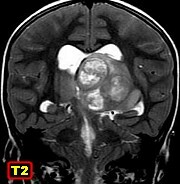 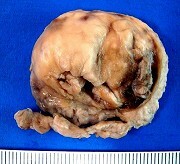 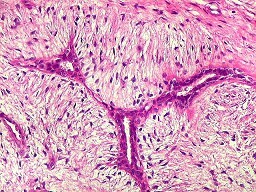 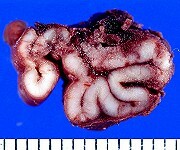 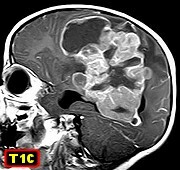 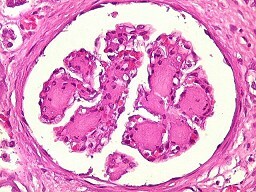 F. 2 yr. 2 m. Embryonal tumor with abundant neuropil and multilayered rosettes. 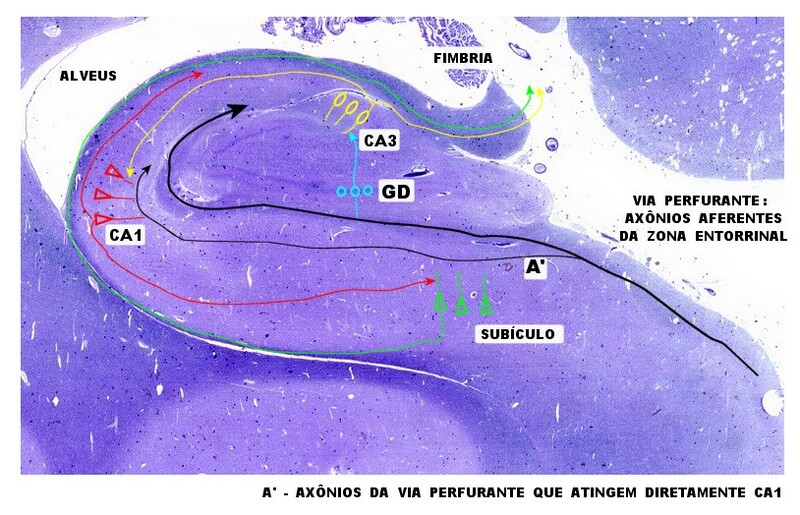 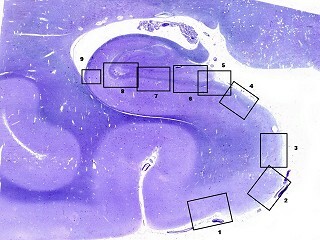 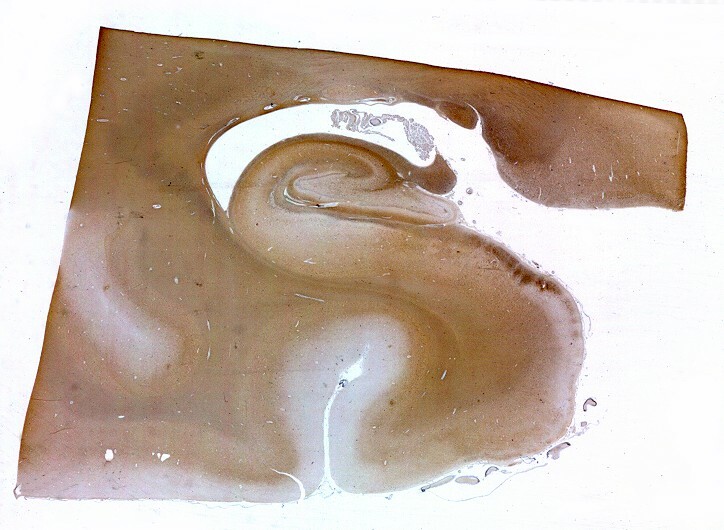 Structure of the hippocampus, dentate gyrus, subiculum.